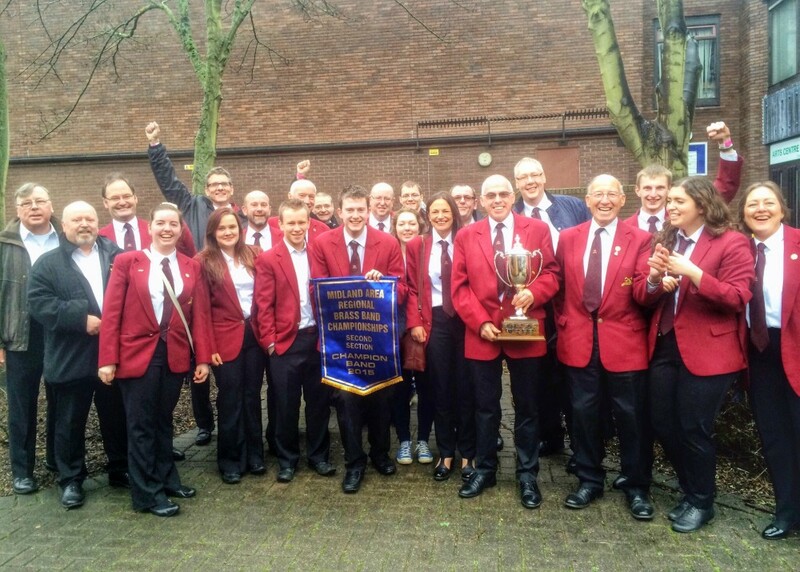 Carlton Brass took part in the Midlands Regional contest in Bedworth yesterday, performing in the Second Section for the first time since the band’s relegation from the First Section in 2014. 12 bands took to the stage to perform the impressive ‘Variations on Maccabeus’ by Kevin Norbury – a piece that was both difficult to play and full of style – and Carlton Brass pulled off our first Area contest victory in 14 years. #regs2015 Mid 2: The battle is well and truly joined now with terrific display from @CarltonBrass. Will Raunds Temperance raise the bar? Right from the start there was an air of control, and confidence about this performance – very well directed by the MD. Not without its intonation and minor errors throughout, but the delivery was admirable with solid solo lines backed by balanced ensemble. Each of the variations had character topped by fine lead lines (esp sop). The fugato and run for home were played with a touch of nobility too. May have sneaked ahead in the race for Cheltenham here. The band are delighted to have won our first area contest win in fourteen years and very excited to be invited to the National Finals in Cheltenham in September. 2015 is turning out to be a very good year!